Paul Hanna won’t just be the youngest musician on stage Friday night at the Resch Center, he’ll also be the sole voice representing the Green Bay rock scene. 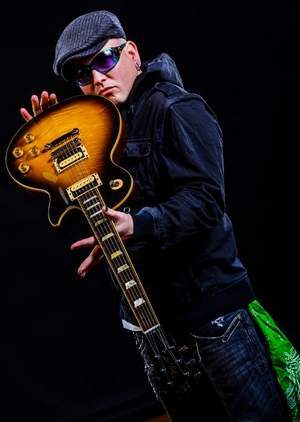 The frontman of longtime band Annex will do a solo acoustic set to open for Ted Nugent, who is first up on the Midwest Rock ‘n Roll Express Tour that also has Styx and REO Speedwagon in tow. Hanna has played a lot of venues across the country, but never one as big as the Resch or with three as recognizable names in classic rock. “I’m definitely honored to be on the same stage. This is the Madison Square Garden of Green Bay really,’’ said Hanna, who has fond memories of seeing acts like Poison and Metallica at Brown County Veterans Memorial Arena as a middle school student. He was as surprised as anyone to get the invite last week. The tour reached out to WAPL, 105.7 FM, for a suggestion on a solo act to do a four-song original acoustic set before Nugent goes on, and Hanna’s name deservedly came up. “To get that call was pretty crazy,’’ said Hanna, who will do his set, hang around for a little of the show and then walk over to The Stadium View Bar & Grille, where Annex is playing later that night. “It’s going to be a little weird going up on that stage and it will just be me,’’ he said of the Resch gig. It won’t, however, be the first time he’s opened for REO. Annex opened for the band in the late 1990s at the Kewaunee County Fair in Luxemburg. Inspired at the age of 9 to play guitar after seeing the movie La Bamba, Paul Hanna started out his playing career on a Harmony guitar, graduated to a Stratocaster but now considers a tobacco-burst Les Paul, a style once played by another of his heroes, the true love of his life. “I got this guitar, basically, as a divorce gift to myself,” said Hanna, lead vocalist and guitarist of Annex. 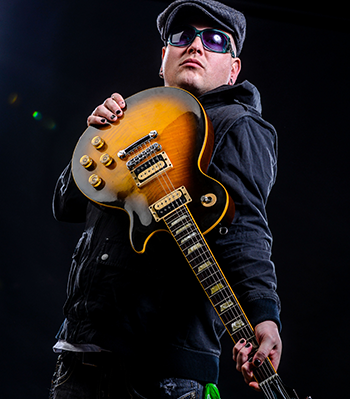 “I’ve played Les Pauls for a lot of years. I started playing Fender Statocasters, but as I got older, I switched over to a Marshall amplifer and the Gibson Les Paul. “I bought the tobacco burst. I’m a Kiss freak. Ace Frehley early on played the tobacco burst. Throughout the years, there have been different bands, different inspirations, but as a kid, Kiss was the inspiration. They weren’t the best rock and roll band and they don’t write the best songs, but Kiss was just cool to me. I can’t explain it. I’m sure it’s kind of like a kid looking at a comic book. They weren’t human to me. They were superheroes. “I’ve got a couple cherry bursts at home, but I always liked this guitar. It’s really light for a Les Paul, which is not very common. Some guys like the girls with the booty. I feel the Les Paul is the girl with the booty if you look at the arch top. It’s got some meat behind it. Hanna still remembers the day he bought his favorite guitar at Henri’s in Appleton.